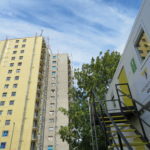 An £11m programme is underway to refurbish two 1960s tower blocks in the Sherwood district of Nottingham to make the properties more energy-efficient, aesthetically pleasing and safer for residents. As part of the project Nottingham City Homes is also creating a new extra care facility. Claire Clutten reports. Winchester and Woodthorpe Courts, owned by Nottingham City Council and managed by Nottingham City Homes, contain 90 flats each for residents aged 55 and over. Situated next to parkland, the flats on the higher floors have far reaching views into the city. Willmott Dixon is the main contractor delivering the project for NCH. Work began onsite in June 2017 and the project is due to complete in June 2019. The scheme is a mix of new-build and refurbishment. 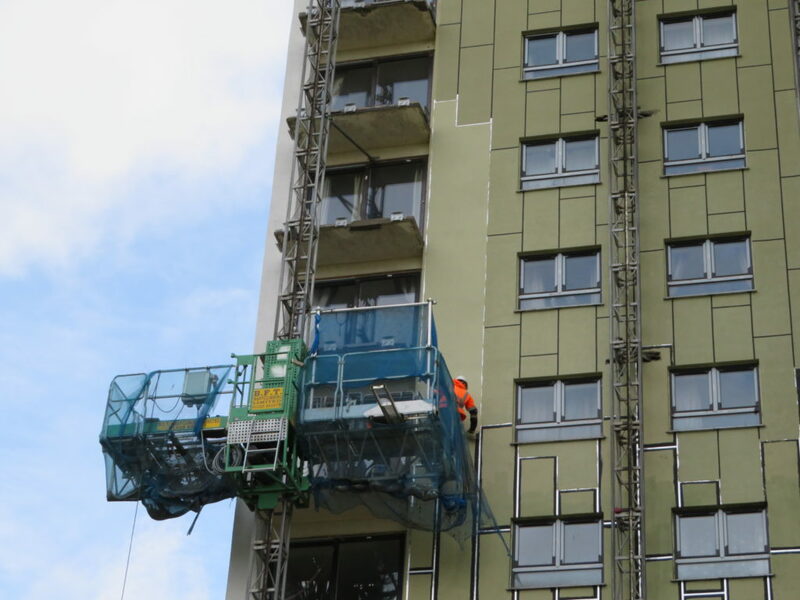 The existing apartments are all occupied and residents continue to live in the towers whilst the work is being carried out. A temporary building has been placed on site so residents can meet during the day and host activities such as their regular social club. Between the two tower blocks there used to be a small community centre. As part of the project the building has been demolished. In its place, Willmott Dixon is building a new extra care facility, which will adjoin the two towers. The facility will feature 44 apartments as well as a host of communal facilities. Some of the residents of Winchester and Woodthorpe Courts have lived in the towers for 20 years; have built up strong friendships and are part of a strong community. NCH wanted to provide a ‘next step’ accommodation so that when the time arises where residents require greater assistance, instead of having to transfer to a care home they can move into the extra care facility onsite. On 14th June 2017, the UK was shocked by the terrible Grenfell tragedy. Since the event, residents living in high-rise housing across the country have been understandably extremely concerned about the safety of their blocks. The apartments in both blocks originally featured old style balconies with railings. These have been removed. In their place, Windoor’s enclosed balcony systems are being installed to increase the space and light in the properties and help boost the energy efficiency of the buildings. Luke says: “We did a lot of consultation with residents leading up to the project. They were a bit nervous about the enclosed balcony systems to start with, but we got a sample on site and the residents liked them. The overriding aim of the scheme is to make Winchester and Woodthorpe Courts more energy-efficient. 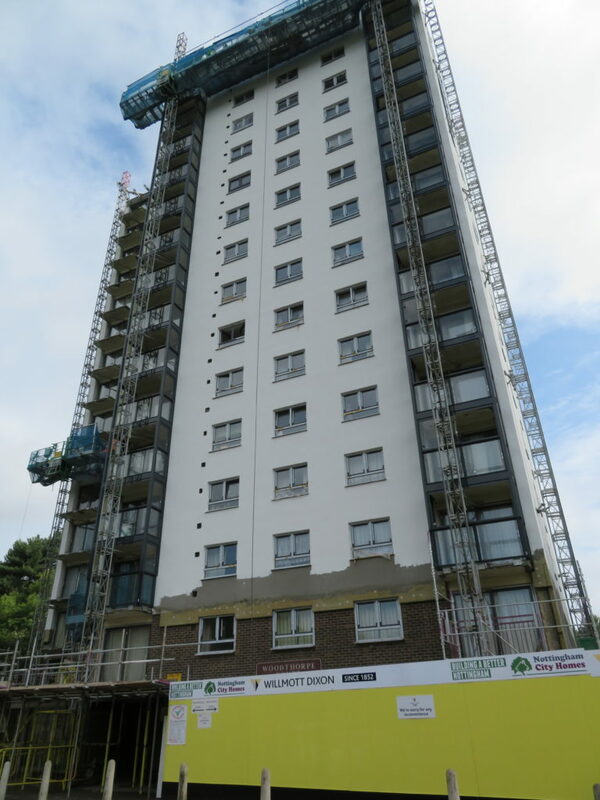 To this end the render system on the external façade of the buildings has been upgraded to improve the thermal performance and new electric heating systems have been installed into all the flats. The old storage heaters have been replaced with a modern equivalent that uses low-cost, off-peak energy to provide an economical off-peak electric heating system. It features intelligent controls, enabling heating requirements to be pre-set with a seven-day programmer. Following the installation of the new heating system the Energy Team visited and spoke to the residents, offering advice on obtaining the best energy tariff. Luke says: “The plan at the moment is that some of the new flats in the extra care facility will be assessment flats and rooms for carers, rooms for assessing people’s needs to stay within that space or to have some respite. There will also be an assisted bathroom in there, a sky lounge and roof terrace overlooking the parkland. On a project of this size, especially with tenants in situ, resident consultation is massively important. 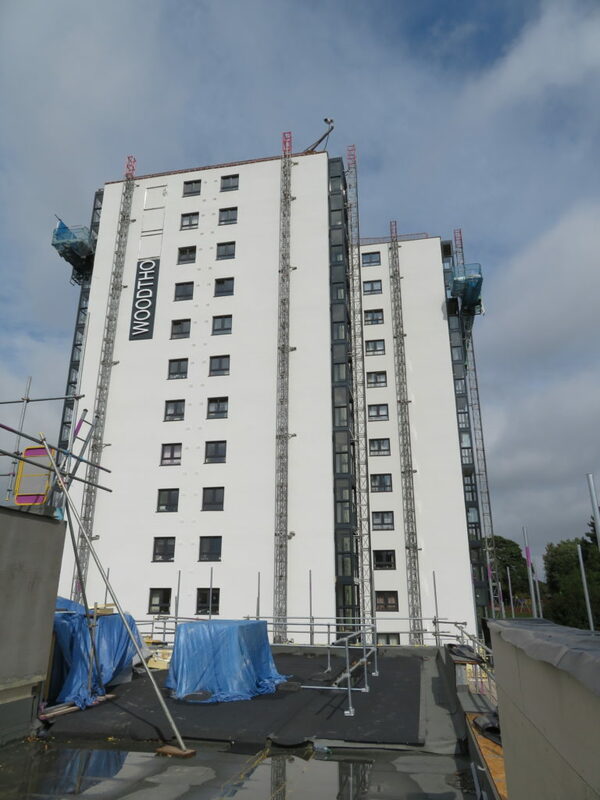 BIM level 2 has been used on the project not only to assess and review the building, but also to give residents an insight into what the scheme of work involves and how everything will look once complete. Using BIM also allowed the project team to make refinements along the way. Some of the work has been quite invasive, for example in apartments where residents have inbuilt furniture which had to be deconstructed and rebuilt to accommodate the works. 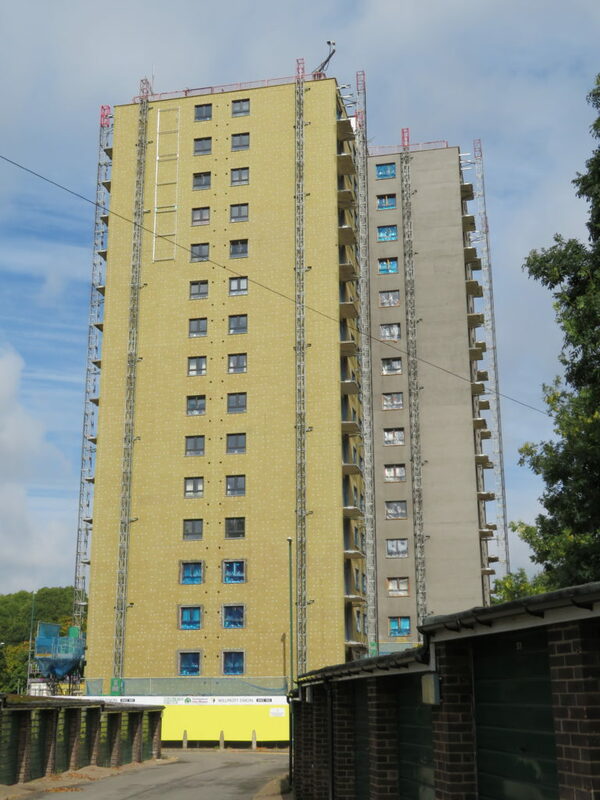 Luke says: “We’ve had to work with residents to gain access to flats for the heating and insulation works. We have a very good tenant liaison team on the job and surprisingly have had no issues with access.